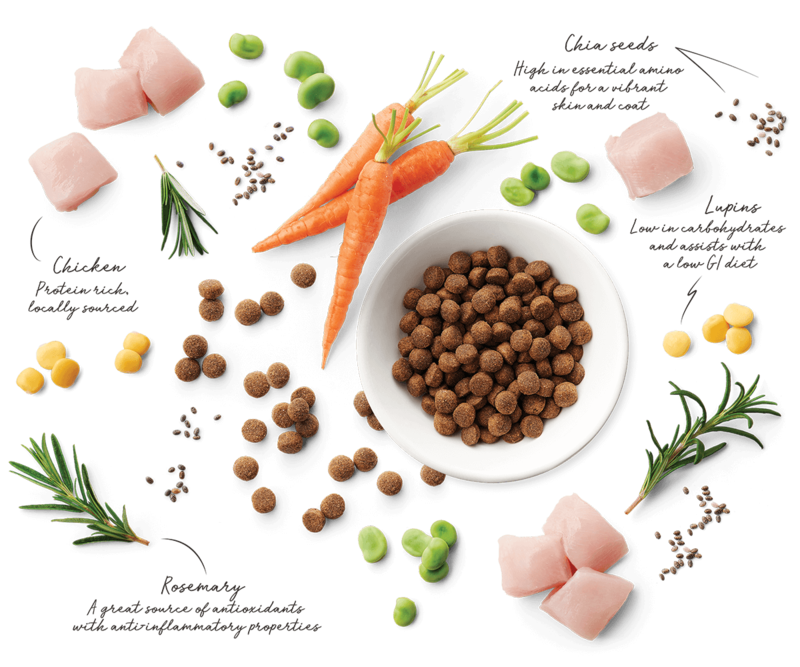 Mature Australian Chicken provides a complete balanced diet for the support and maintenance of mature dogs aged 7 years plus. Glucosamine and chondroitin promote muscle and joint health, improve mobility and assist in reducing pain from joint inflammation. 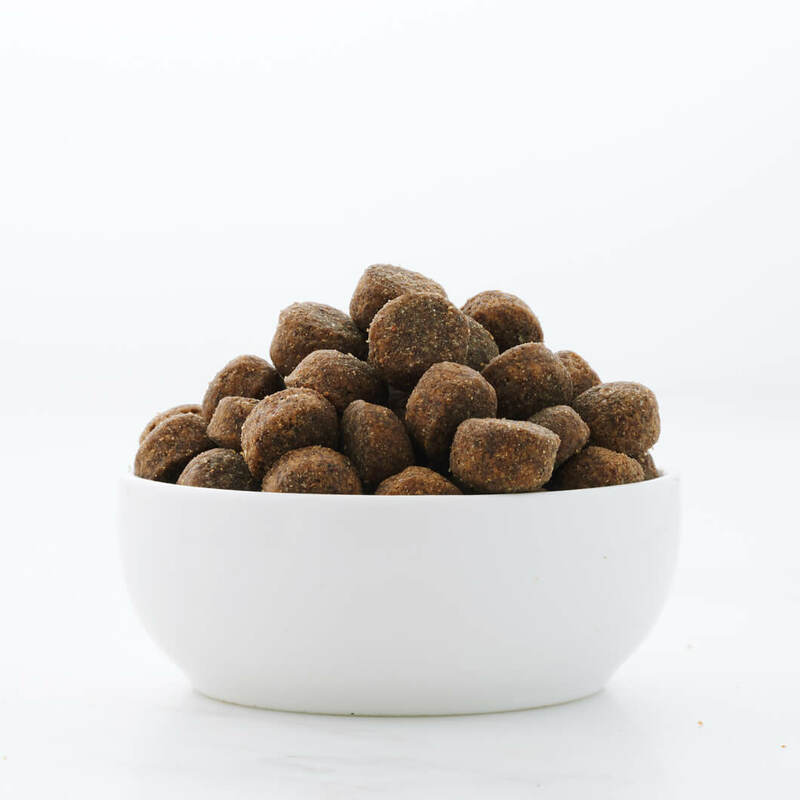 The diet reduced in calorie, fat and protein supports healthy kidneys and weight maintenance whilst ingredients high in fiber such as beet pulp, chicory, lupins and beans keep aging dogs fuller for longer. 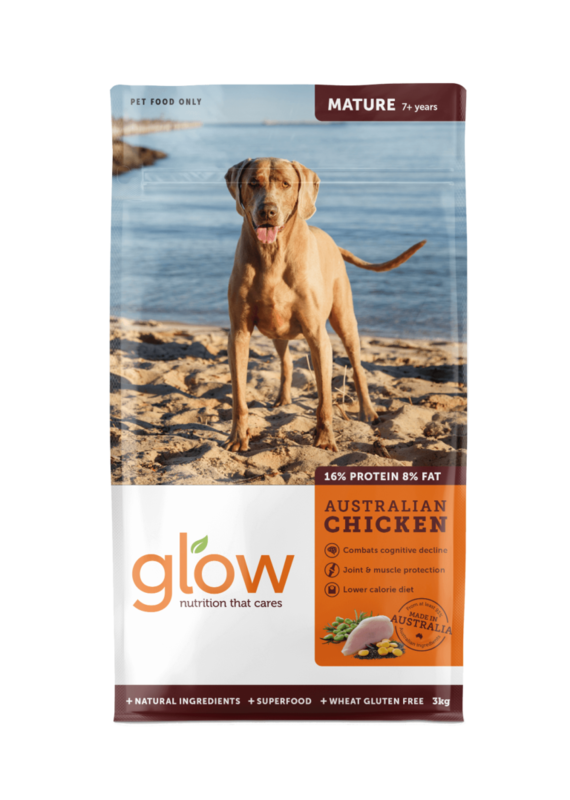 Ingredients: Chicken Meal, Lupins, Beans, Sorghum, Tallow, Beet Pulp, Chicory Extract, Chia Seeds, Carrot, DHA Algae, Glucosamine, Chondroitin, Salt, Potassium Chloride, Vitamin and Mineral Premix, Natural Antioxidants from Rosemary. Mature 7+ Australian Chicken is formulated to meet the nutritional levels established by the AAFCO Dog Food Nutrient Proﬁles for maintenance of mature 7+ dogs.